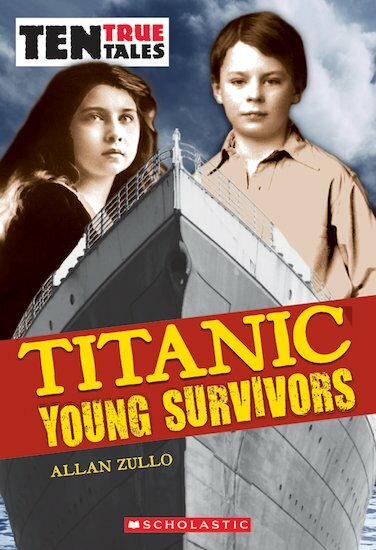 Real kids trapped in the greatest shipwreck of all time. We can’t tear ourselves away. Ten young people trapped aboard the Titanic. When the unthinkable happens, can they survive? On the night of 14th April 1912, seventeen-year-old Jack Thayer looks over the side of the sinking ship and stares into the icy sea. There are no lifeboats left. He knows he has to jump – but can he? Young Edith Brown and her mother climb into Lifeboat 14. Edith begs her father to join them. Why does he refuse? Ten courageous kids from different walks of life, about to face the ultimate test. On that terrible night, each of them found a way to survive. Read their true stories here.